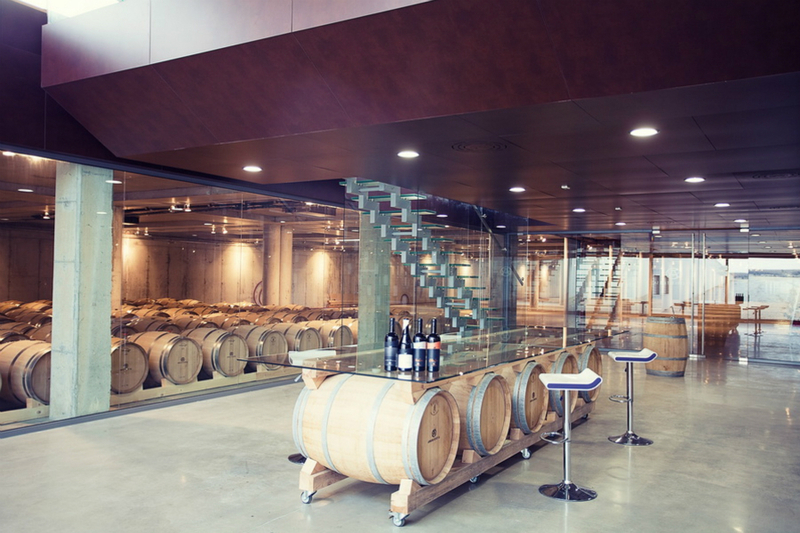 Are you ready to visit one of the most stylish wineries we’ve ever seen… with state-of-art technology in wine making? As we’ve promised here… LET THE ROMANCE BEGIN! 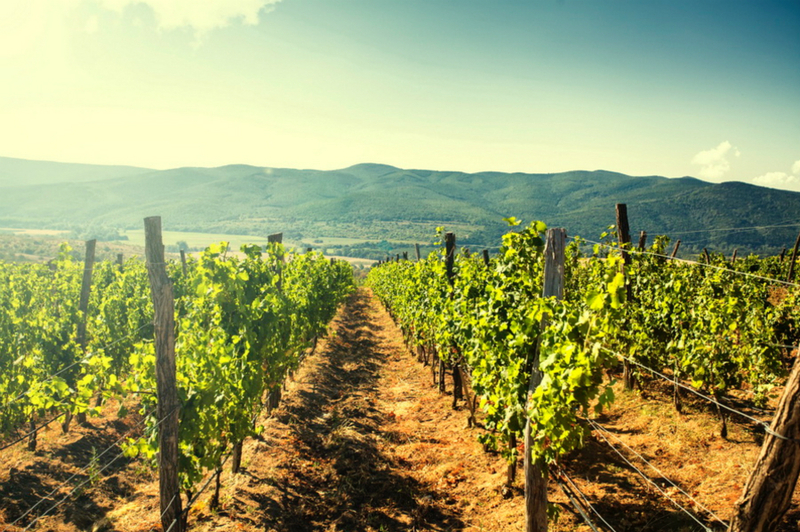 Angelus Estate winery is our choice this week. 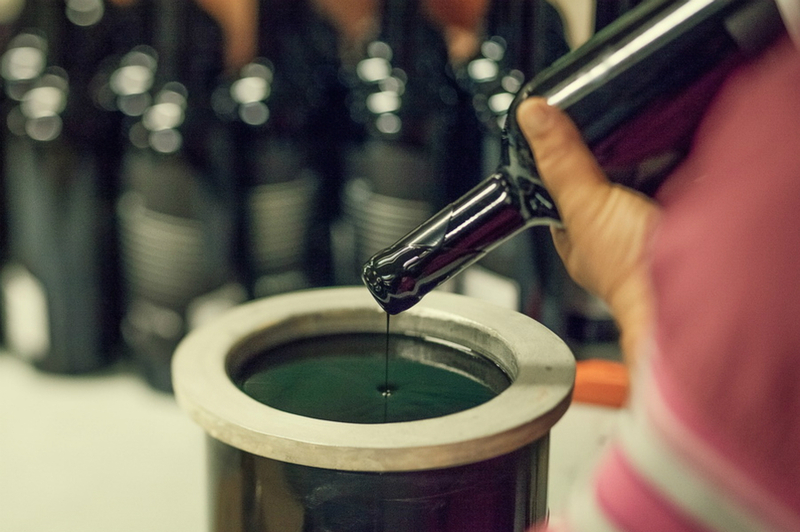 The first think we’ve thought when we reached the winery was – so much style in so little millilitres. The Magnetic Place that charges you with positive energy even before you enter inside. Maybe because of the nature, maybe because of the sun, maybe because of the lake…we are not sure! 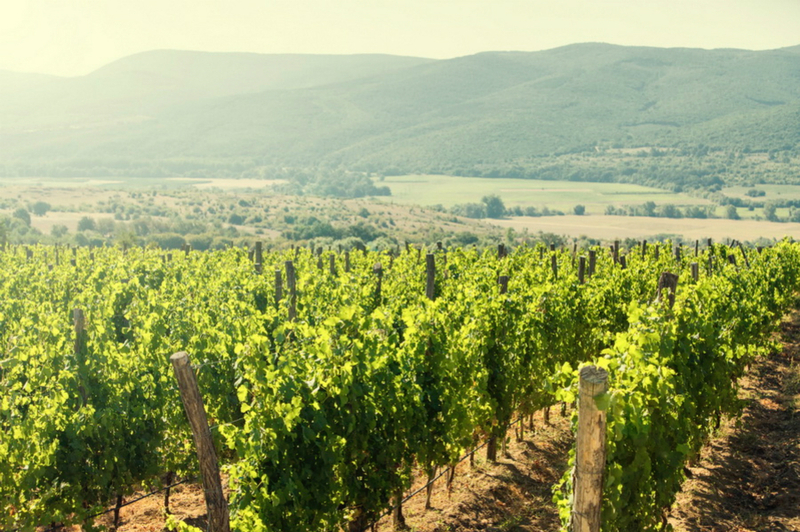 Angelus Estate is situated in close proximity to the Zhrebchevo (Stallion) Dam, on the hillsides of Sredna Gora. From that location they have derived the name of their most successful wine STALLION – symbol of the emergence of new life, full of energy and love. The fermentation room is under the ground with access hatches on the ground. 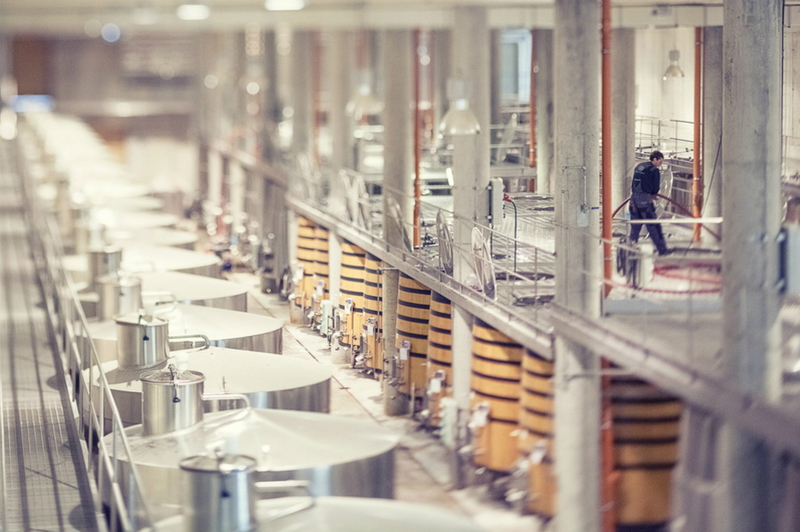 In that way the grapes are reaching the fermentation tanks using only gravity – easy, fast and smart. Angelus Estate has a processing capacity of 650 tons of grapes. 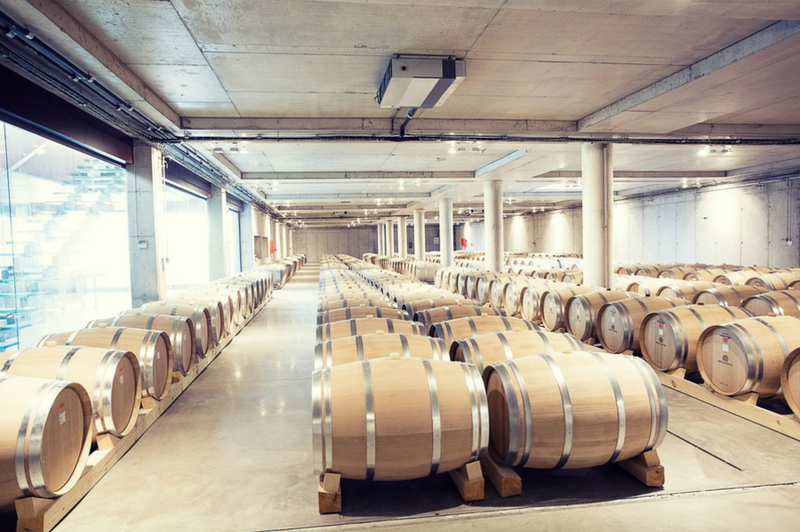 Total floor area of the wine cellar: 14 000 sq.m of which 7 000 sq.m are underground. 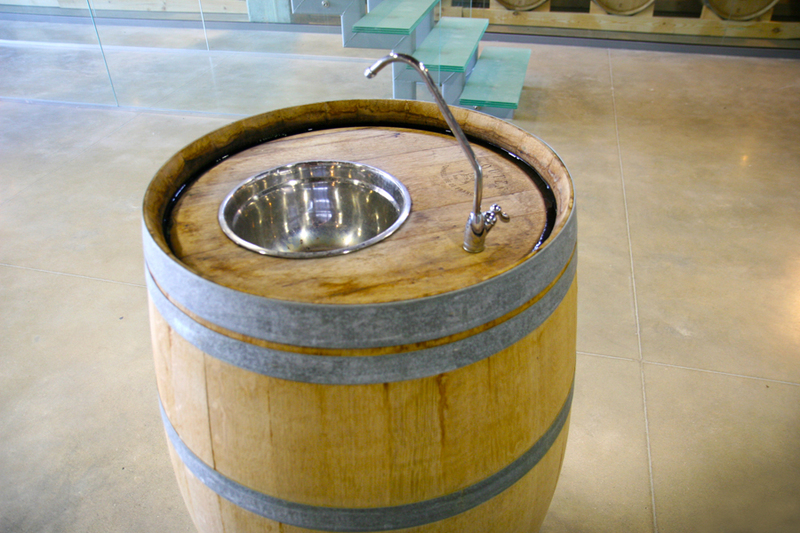 This facilitates fermentation by gravity. 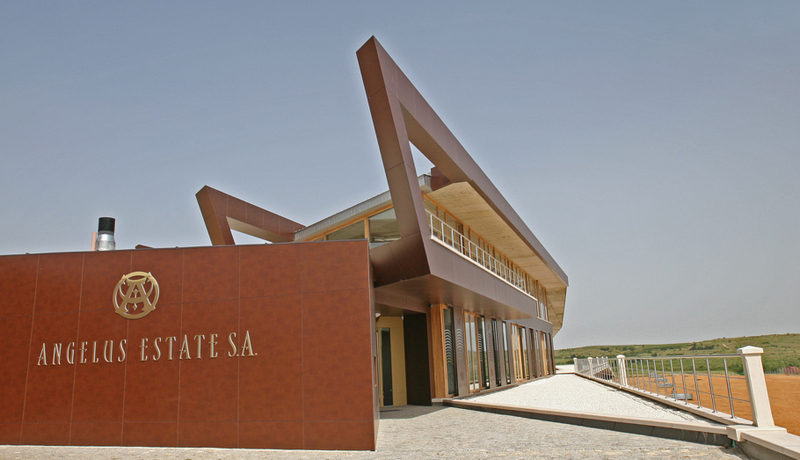 Angelus Estate has a processing capacity of 650 tons of grapes. 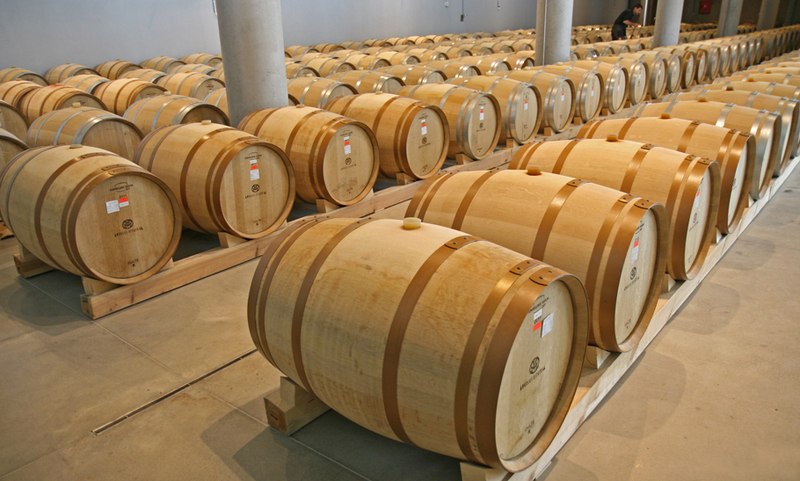 All the barrels are made of French oak and the winery is using them only once! The barrels with golden rings at the front are very special. They are made from very rare material and used only for very special and limited selections. On top of the expensive French cork the bottles are sealed with white and black wax, which gives double protection for the wine inside and saves its great aromas and testes. Actually it looks romantic, we felt like in 16th century! 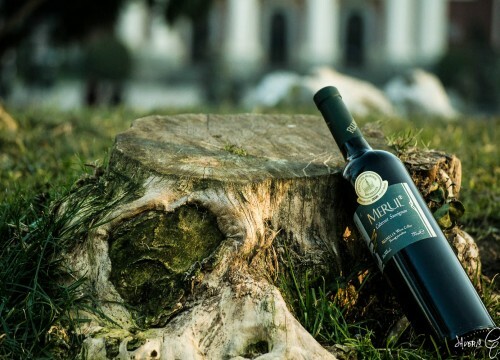 Angelus Estate is one of the wineries that provoke huge emotions between winelovers and never leave them disappointed. 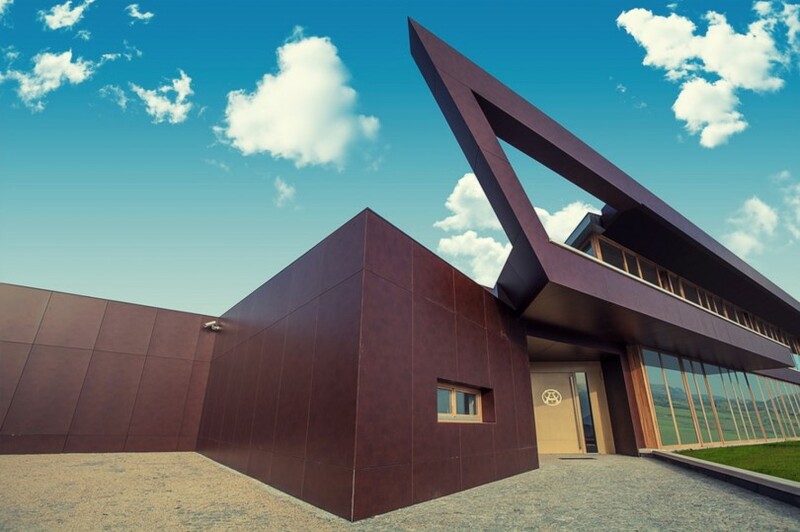 They produce wine that will eclipse all of the world’s brands. Strolling round the cellar and already totally impressed by the things we’ve seen, we are now reaching the degustation room! The wines have power and charge, but at the same time elegant and harmonious, softer feel. 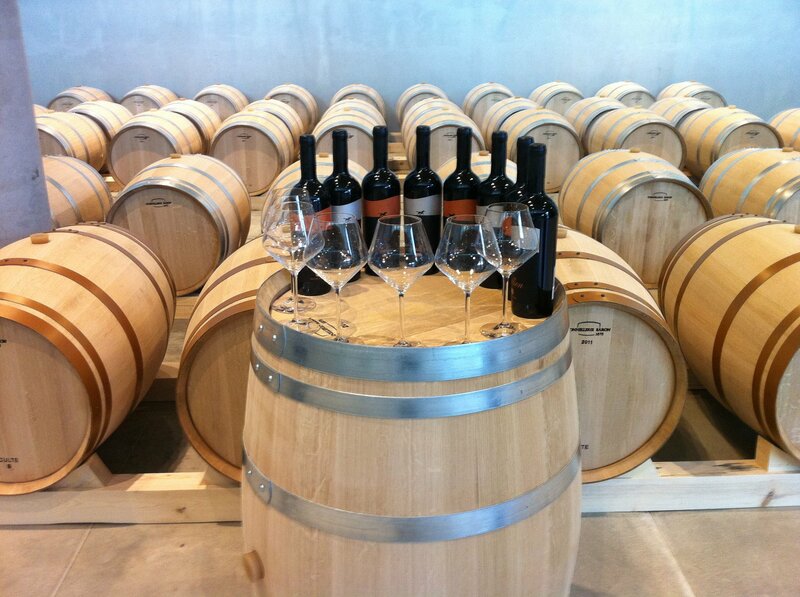 Our impression of the wines is that they require special atmosphere but they also create one. They evolve in the bottle if you have the patience to let them there long enough, and they will surprise you with every taste and every sip. Regardless of what we think, the international awards of Angelus Estate are making us all proud. One of the best Bulgarian white wines, with perfect balance between sort varieties inside and the new French oak. Wine with crystal-clear, golden moon color and shine. Really … the vintage 2012 is unbelievably good wine! GOLD Medal from Sélections mondiales des vins 2014 – Canada! GOLD medal from Concours Mondial de Bruxelles! SILVER medal from Vinalies Internationales – Paris! BRONZE medal from Decanter World Wine Awards – United Kingdom! 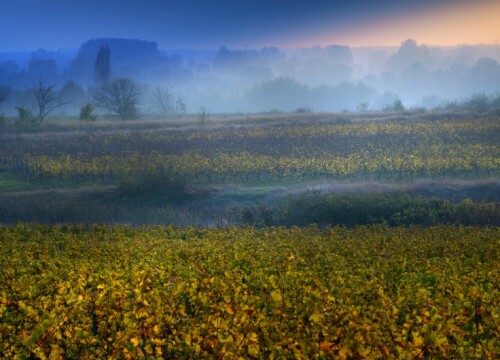 Cabernet – Merlot – Syrah blends incorporate some of the world’s most popular red wine grape varieties, each of which are grown in almost every wine-producing country on earth, but in the Thracian valley they have one of the most most appropriate terroir for growing. Moderate continental climate with sunshine duration of more than 3000 hours during the year and more than 110 sunny days. Hot, dry summer with warm nights. Mild and balmy winter. No freezing temperatures and frosts in spring. Sandy and sandy-clay, calcareous-clay soils. The Cabernet grapes (both Cabernet Sauvignon and, to a lesser extent, Cabernet Franc) are both classic blending partners for Merlot, whether individually or together. 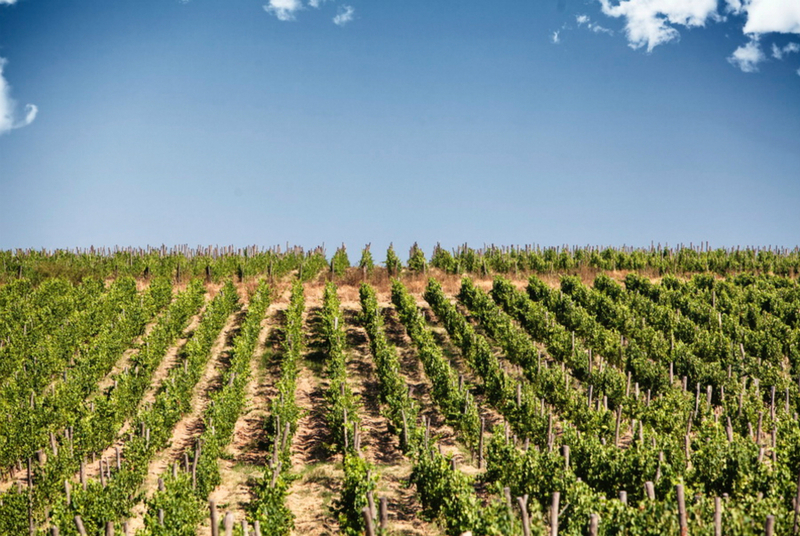 Less traditional, but increasingly common, is to add a component of Syrah, or Shiraz, to the mix. This wine is invented by Old World producers over the past couple of decades and adopted since then form the New World wines! With its intense cherry colour with violet tones this fine wine, resonating in a lasting sense of delight. That bring the following the Gold medal from San Francisco International Wine Competition. It also has gold Medal at Vinaria 2010. 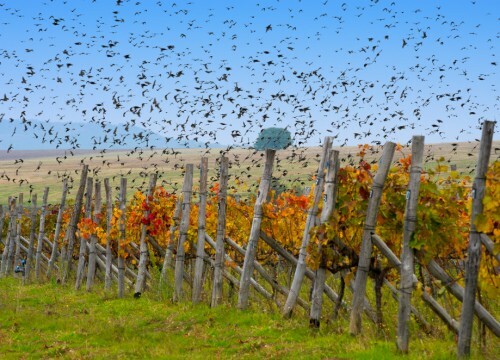 Do you want to try those great Bulagrian wines for FREE? As we’ve promissed at the end of the series one of our beloved readers will receive a special compliment from the wineries we’ve been: A FULL BASKET OF 6 EXTRAORDINARY WINES, EACH OF THEM WITH INTERNATIONAL WINE AWARD AND MEDAL! All you have to do is just to enter your best email in the box below and click the SUBSCRIBE button.